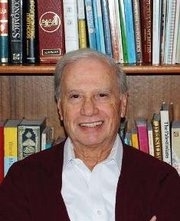 Taher Dajani was born in Jaffa, Palestine, and now lives in Alexandria, Virginia, and Fort Myers, Florida. He earned degrees from DePaul University and served as division chief at the International Monetary Fund. Dajani has traveled extensively throughout the world and has been published in the field of economics. Taher Dajani remembers playing soccer with his neighborhood friends in his idyllic city of Jaffa, Palestine. But on April 24, 1948, when Taher was fourteen, his carefree lifestyle came to an abrupt end. This book details the account of a Palestinian refugee from the time he fled his homeland, throughout his career, and his journey to American citizenship. His family, with little money and few possessions, escaped the city by sea in a crowded fishing trawler as Zionist militia encircled Jaffa. Taher's father believed the family was in danger, so overnight they became refugees. The family took refuge in Syria and later in Libya, which enabled them to rebuild their lives. They experienced grief at leaving a place they loved and felt a great sense of loss and displacement, but with perseverance the Dajanis began anew. From Palestine to America describes the family's experiences and their determination. Taher Dajani writes this memoir about his new life after leaving his beloved Jaffa—from his days as a college student in Chicago to his work with the central bank in Libya—and his position with the International Monetary Fund in Washington DC. Even though it has been sixty years since the Dajani family fled Palestine, they remember their heritage and roots, and Jaffa, Palestine, will forever be in their hearts. Development of Public Finance in Libya, 1944-1964, published by Bank of Libya , Tripoli 1965. Analytical and Policy Aspects of Financial Programming, The Case of Egypt, published by the International Monetary Fund, Washington,DC. 1990.